Smokey Joe’s offers alfresco dining in a festive atmosphere. "We only serve fresh caught local fish…", says executive chef Denis Gual, "...so don’t expect to find salmon and trout on our menu!". We also feature open-fire rotisserie-grilled chicken, and for the meat lover, our thick-cut tender Argentine grass-fed filet mignon is sure to hit the spot. But our ultimate treat has to be the finger licking enjoyment of eating our grilled baby back ribs, truly the "Best Ribs in the CARIBBEAN!". 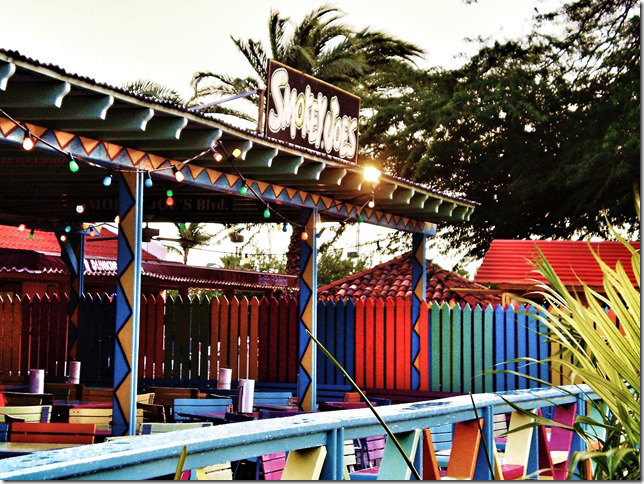 While in Aruba visit one of our sister restaurants.